My Defined Contribution Company Pension transfer to a Hargreaves Lansdown SIPP has now completed. The timings ended up being that I sent all the paperwork to Hargreaves Lansdown on the 09 May ’15, received a confirmation letter that it was in progress on the 13 May, the cash landed in my new Hargreaves Lansdown SIPP on the 29 May, I bought all my new low expense investment products (which made this post a little redundant) on the 01 June and the £500 cash back offer landed in my account on the 05 June. So all in about a month for it all to wash through. Total Investment Portfolio expenses including SIPP wrapper charges now run to 0.28% per annum. I received a Facebook message from a reader asking if I could do a post with “a really detailed breakdown of my portfolio starting with a rough pie chart with just equities, bond, gold, alternative investments, property etc and then a more detailed breakdown again perhaps an exploded pie chart of the main parts. For example share category American, European shares etc.” When I read the message I realised that while I've talked ad infinitum about my portfolio over the years I've never given such a detailed breakdown including investment product percentages. 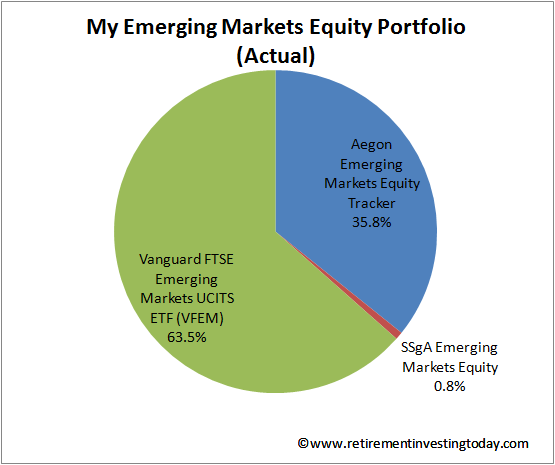 So without further ado here’s my investment portfolio warts and all. 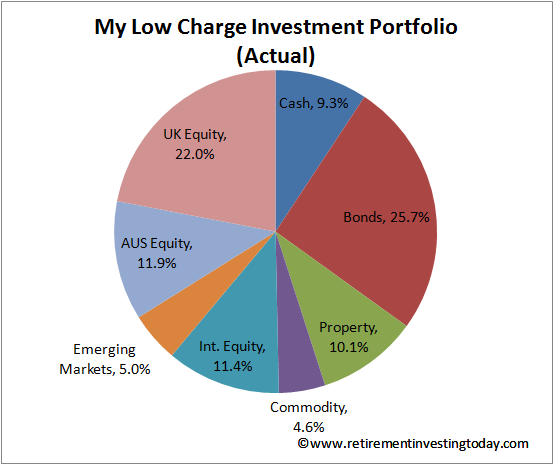 The investment strategy (some might call it an Investment Policy Statement) on which my portfolio is based has now been in place almost since the beginning of my journey. 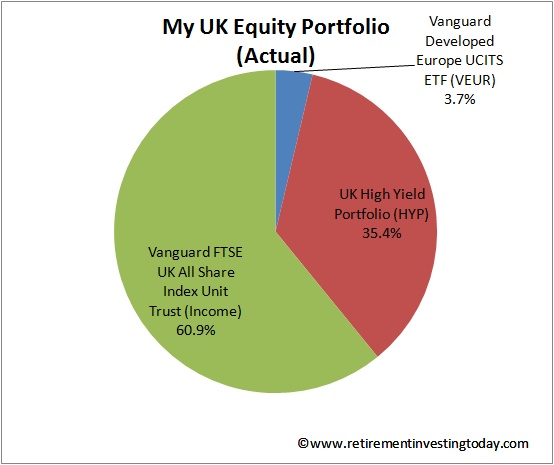 I first documented it in 2009 but I would suggest reading my 2012 strategy summary (as it included the addition of my High Yield Portfolio (HYP) for a portion of my UK Equities) in parallel to today’s post. The strategy post will give you the “Why” behind my thinking while today’s post will give you the “What”. It’s also important to note that nothing I do is original or clever. It’s predominantly based on work by Tim Hale which is a book that I believe every UK investor should read with tweaks coming from the reading of the following books. At a top level the portfolio contains local and International Equities, Commodities, Property, Bonds and Cash. Cash is split between a Yorkshire Building Society Savings Account paying derogatory interest and a RateSetter P2P 3 year lending account which since inception has provided me with an annualised 4.6%. The other unnamed slivers are small cash holdings in ISA’s, SIPP’s and Trading Accounts that are each accruing dividends until a critical mass is reached enabling the next expense efficient investment. With Financial Independence fast approaching I’ll have a choice to Retire Early, which will likely include buying a house a year or so in and so I am actively working to build my cash pile outside of my SIPP’s and ISA’s for this purchase. 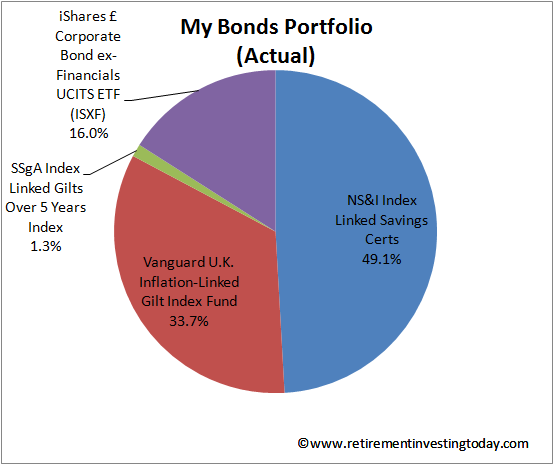 UK Index Linked Gilts and NS&I Index Linked Savings Certificates have always been part of my Bonds portfolio. The iShares Corporate Bond ex-Financials ETF (ISXF) is a new addition following my pension transfer. The motivation is that I’m trying to build a portfolio that at the point of Early Retirement can pay me my annual ‘salary’ from interest and dividends alone. ISXF should help with that. Psychologically this is important to me as I can only imagine the angst I’d feel being forced to sell down capital in a severe bear market. When it comes to property I’m trying to balance evenly between UK and European Commercial property. 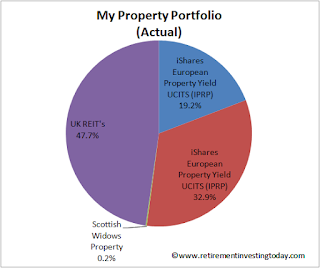 The iShares European Property ETF (IPRP) has always been with me. The UK REIT’s have been possible because of the pension transfer. The REIT’s I’ve chosen are Hansteen (HSTN), Segro (SGRO), British Land (BLND), Hammerson (HMSO) and Primary Health (PHP). While there are three Commodity slivers shown they are all nothing more than Physical Gold ETC’s. My International Equity Portfolio looks more complicated than it really is. Run an analysis of the holdings and it will show that I’m trying to achieve a 40% allocation to the US, a 40% allocation to Europe and a 20% allocation to Japan. 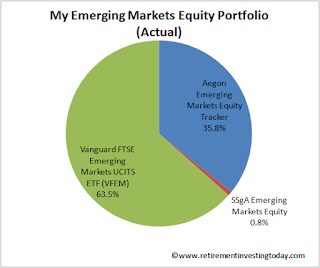 The Aegon Emerging Markets Equity Tracker is a legacy Pension fund remnant. It’s still there because surprisingly it only attracts 0.25% per annum worth of expenses. 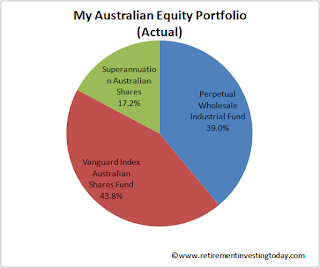 My Australian Equity Portfolio is to be blunt a mistake. It’s a result of some time spent working Down Under along with a folly that would see me Retire there also. Unfortunately it’s something that I can’t tax efficiently extricate myself from quickly, so is a long portfolio contribution reduction burn that continually stares me in the face and annoys me. My UK Equity Portfolio was predominantly the low expense Vanguard FTSE All Share Fund. In more recent times it’s now being nicely supplemented with my High Yield Portfolio (HYP) which I started in late 2011 which like ISXF is aimed at boosting dividends paid in percentage terms. Today the HYP contains Sainsbury’s (SBRY), Astra Zeneca (AZN), Scottish and Southern (SSE), Vodafone (VOD), Royal Mail Group (RMG), HSBC (HSBA), Royal Dutch Shell (RDSB), Pearson (PSON), GlaxoSmithKline (GSK), Amlin (AML), BHP Billiton (BLT), Tate & Lyle (TATE), BP (BP), Rio Tinto (RIO), South 32 (S32) and Legal & General (LGEN). So that’s my Portfolio in a little more detail. 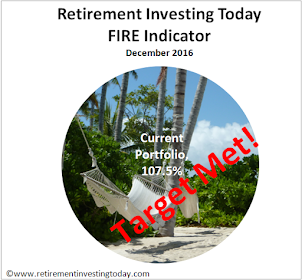 It’s also important to note that it is now a very mature portfolio given that it will be my only source of income in Early Retirement and it today contains 83.6% of the wealth I need to pull the FIRE (Financially Independent and Retired Early) trigger. Thanks for the detail RIT. Excellent. I used to do the whole "modern portfolio theory" bit 10 or so years ago and then switched into stock picking because it was more interesting/profitable. However, my son's child ISA is passive but I'm far too efficient (i.e. lazy) to do more than split it five ways between FTSE 100, FTSE 250, World Equities, UK Gilts and Investment Grade Corporate Bonds. That lot should do a reasonable job, but I appreciate that yours should perform well over a wider range of possible futures (i.e. including those where the UK sinks to the bottom of the ocean, in which case my 40% total in FTSE 250 and Gilts will suffer, along with myself seeing as I live here...). Interesting you mention the FTSE 250. I get some exposure to these companies through the FTSE All Share and my HYP but as you'd know the index is mostly FTSE 100 stuff percentage wise. I have considered further diversifying via something like VMID but for now I'm sitting on my hands. How are you getting access to the FTSE 250? Thanks for the wonderfully detailed breakdown of your portfolio! I was planning to do a simple one myself (mine is far less diversified than yours, it must be said). I am glad to see you hold Hansteen holdings in your list. i have not seen many people invested in them for some reason. I think, as an investment in European commercial property, they are best available for UK investors. How long have you held Primary Health Properties (PHP)? I have been looking at them for a while. However, I have been waiting for them to have a covered dividend. I think this is soon so I may (finally) invest in them. I have no exposure to gold at present. Though I have been looking at ways to do so. Similarly with bonds. My preference would be to open a bond position rather than a gold one. But we will see! Your method of international exposure looks really rather good. This is something I am concentrating on working out at present. Other than South32 (and a Euro and American ETF) I am an exclusively UK-focused investor. This hopefully will change over time. Again, thanks for offering such an amount of detail! I've held both PHP and Hansteen less than a week. All of the LSE REIT's were bought this week as part of the pension transfer palaver. I see! I am seriously thinking of introducing PHP to my portfolio next week. I have been looking at it for well over a year and not forund anything (other than the uncoevred dividend) that upsets me. As a result, I am increasingly thinking it is time to dive in. We will see! Glad you got the pension transfer sorted. A headache it is best to get rid of as soon as possible! Fascinating stuff, Keith. Thanks for putting this together for us. Yes, some of those have been on my watchlist as well, it must be said. I have not looked at Target Healthcare for well over a year though. I must take a fresh look. I remember it was very attractive when I first looked but I can't remember what "turned me off" in the end. I also have been looking closely at the TR Property Investment Trust. it tempts me as a way of getting immediate exposure to such a broad swathe of property-related investments. To read, mark, and inwardly digest. Many thanks - how fascinating. 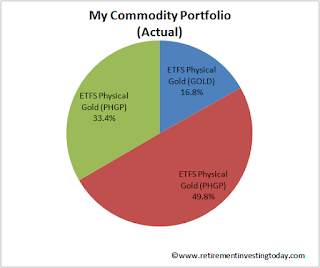 (Is there a possible typo in your commodities pie chart?) That really is helpful, and remarkably frank. When we left Australia I was given my superann money back, and it ended up in an S226 scheme in the UK, wherein it was used for flagrant market-timing investments, and did jolly well. Most of the time it was in Far Eastern units, with short diversions to Fixed-Interest and Index-Linked gilt units when a dull patch, or even crash, seemed likely. I conclude that my secret of successful investing is to do it in favourable decades. Eventually I transferred it to a SIPP, within which it has funded a Gold ETC which hasn't done well, but provides insurance against "tail-event" risks. I have recently sold the Fixed-Interest gilt fund that has done well for some years: I'm contemplating an investment in Asian equities with the money, mainly on the grounds of many other assets looking worse value. Now that I have typed it out, that sounds suspiciously like an attempt to repeat my earlier success. Hm! 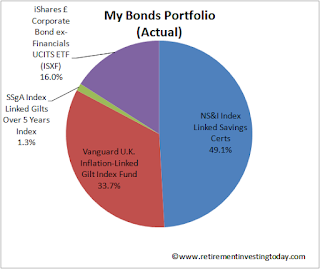 I don't expect to hold bonds again, with two exceptions (i) short maturity gilts, used as quasi-cash in an S&S ISA, and (ii) the blessed ns&i ILSCs. Otherwise our bond-like investments will be extra state pensions bought by pension deferral and perhaps by "top-up". I'm glad to see that the wise Mr Pfau sees merit in such a plan. Thanks for the 2 links dearieme. The first one is very relevant. There are a couple of reasons that I certainly am inwardly considering already. The Business one is an interesting theme. My Mon to Fri currently is just filled with high pressured work so will I also go "stir-crazy". I'm struggling with the Overspending Assets theme somewhat. He states "I don’t have a single client who spends less in retirement than before". I think with my OCD tendencies it is going to be near impossible to overspend what I plan to spend. I have a long time before I need to worry about the second article on bonds vs annuities although this I think is the critical quote - "...income annuities offer something bond funds cannot: mortality credits. Those who wind up experiencing short retirements subsidize the income payments of those with longer retirements..." - as this is I think what makes the theory work. It's a trade off between annuity fees degrading performance vs the insurance policy aspect of those that die early (who would have had lots of capital left over if not buying an annuity) paying for those who die late (who would run out of capital). 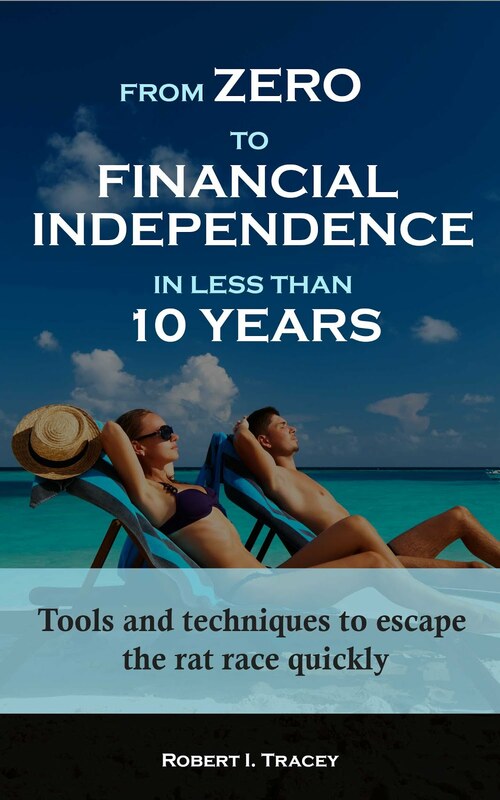 ""I don’t have a single client who spends less in retirement than before". USA! USA! USA! Thanks for providing us with the detailed breakdown of your portfolio. A few pointers there to consider when I get closer to my FI date but I'm quite a bit away! 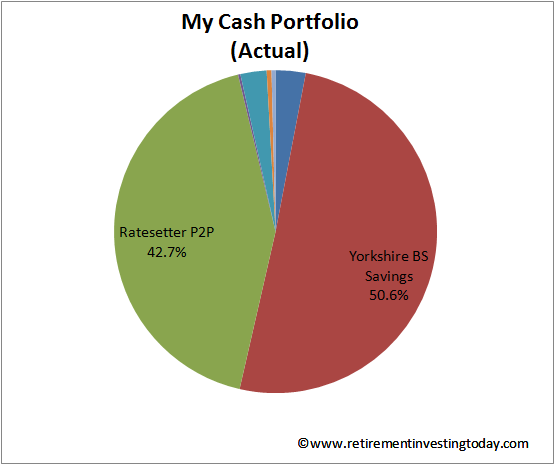 Funny, I consider my P2P lending as part of the'equity' bit of my portfolio, only because I don't see it as 'safe' as my cash that's sitting in a building society account or my premium bonds. Interesting how we're seeing P2P so differently. I full acknowledge that the risk profile is higher (no FSCS scheme for instance) and different to a savings account but I didn't see it as such a high risk. I think part of this may be because of the Provision Fund and some (limited) historical data. RateSetter don't seem to publish the data but Zopa tell us that in 2008 (the worst recession year since P2P started) they had 5.5% of loans default. Now back to RateSetter and their Provision Fund is currently £14.5M for £382M on loan - so they should be able to handle defaults of 3.8% before anyone gets a haircut. If RateSetter's borrowers are similar to Zopa's then to me that just doesn't seem to be as high a risk as an equity which could halve in value. Thanks for the detailed breakdown of a portfolio nearing actual drawdown, fascinating reading. "The motivation is that I’m trying to build a portfolio that at the point of Early Retirement can pay me my annual ‘salary’ from interest and dividends alone" - is the plan to increase the relative holding of your HYP to help to provide this? Or are you on track for your targeted "withdrawal" amount to be covered by interest and dividends? This was certainly one of the motivators behind the HYP and I want to continue to increase it for now - it's currently 15 shares and I'd really like to get to 25-30 before I call it quits. That number could be ambitious if FIRE really does occur because of a favourable Mt Market in less than 18 months. The addition of ISXF into Bonds will also help. The target is 3% of wealth being paid in dividends/interest at the point of FIRE. This would enable me to live off 2.5% (obviously there is a cash amount behind that % which is what I'm really looking at) and reinvest 0.5% in the good times while providing some buffer for downgraded divi payments in the bad times. I think between the HYP and ISXF I'll get there but if not I'm even considering Vanguard's FTSE All-World High Dividend Yield UCITS ETF within my International Equities which currently has a divi yield of 3.5%. I'd be in already but I just don't like the 0.29% OCF. A bit more interesting/involved than the passive side of things? I had looked at the All-World High Dividend Yield, but noticed that the total return was larger for the World tracker (the accumulating one). While in my own accumulation phase total return is the way to go, but the transfer to income needs to be considered at some point. It does feel like a high yield fund's total returns in the long run would suffer for dividends paid (even if you reinvested them yourself), so it feels like it would make sense closer to FIRE. Something I need to research a bit more, but it feels like capital leaving the company has to reduce long term growth. That said as my portfolio grows over the next few years a HY element will be added. 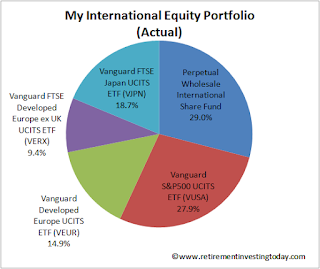 I just set up an ISA for my Dad (who is well into retirement) and went with Vanguard's FTSE All-World High Dividend Yield ETF, as well as a slice of the Vanguard UK Equity Income fund. Should be good for the long term as he won't need to touch the money for a few years. No need to rebalance individual shares either.